After a delay due to problems with the 65 gallon tank, my turtle was finally into the 40 gallon tank on 4/7/07. 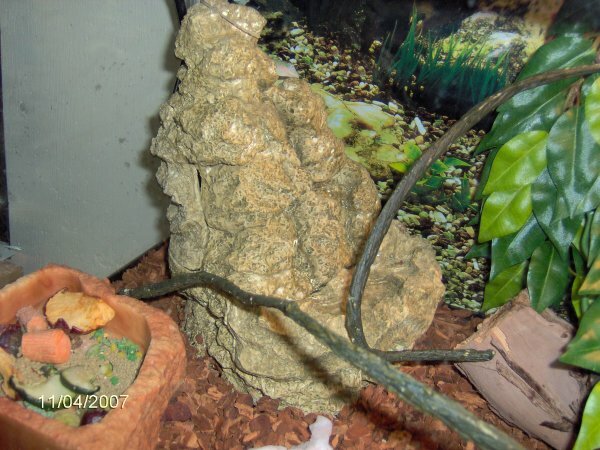 That allowed me to set up the 20 gallon tank for my anole and roaches on a day off on 4/11/07. I had soaked the tank in dilute bleach followed by fresh water with dechlorinator so it was ready. 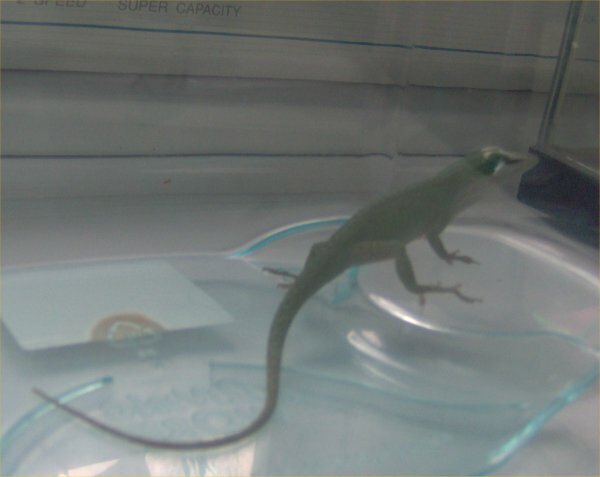 On 4/11/07, I put all sorts of nice things for my anole, Fourmi, into the 20 gallon tank. 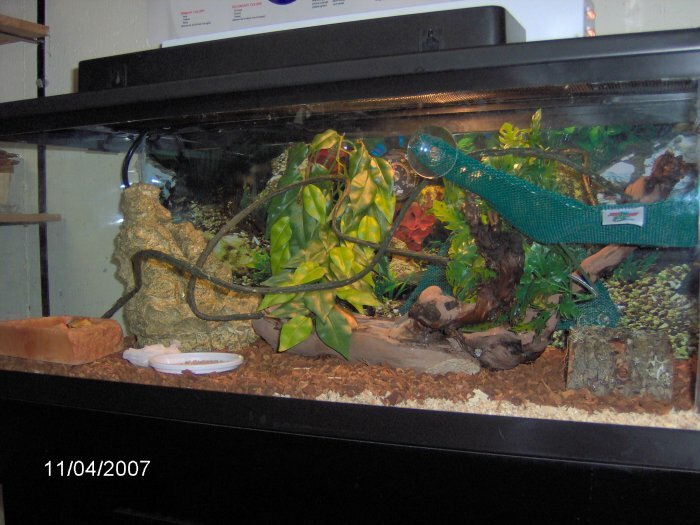 The tank includes substrate (two kinds of reptile "bedding"), a waterfall, a few fake green plants, a food bowl for the roaches, a few fake branches, plastic reptile ladder and hammock, thermometer, and lighting (one fluorescent, one daylight incandescent, and one nightlight incandescent). I put in Fourmi as well as the roaches. There are only 6 adults, 11 sub-adults, and 103 baby (from a two gallon plastic container they were in) six-spotted roaches left. Everyone seems to like their new home. I am worried that I have not seen Fourmi eat or drink. He just hides in the green leaves, so happy to finally be camouflaged. 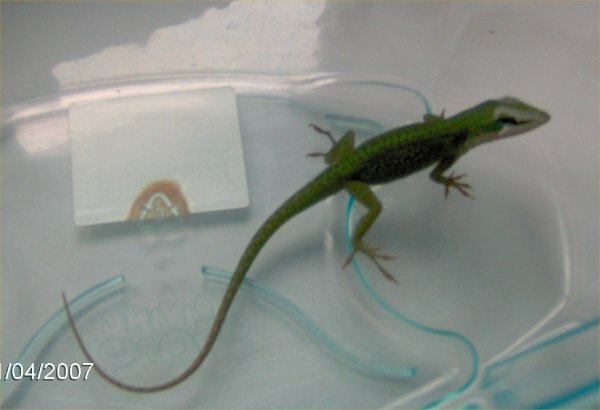 I wanted to buy an anole buddy for him but the store was out on 4/13/07 so I will try next week.